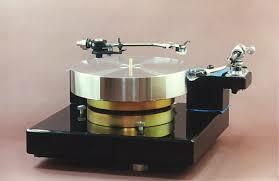 The Verdier La Platine is the all time classic in French turntable design. Two massive opposing magnets help create a bearing mechanism that’s both isolated and stable. It’s outboard motor lets the massive platter move effortlessly with minimal vibration. The La Platine can accommodate two arms for the ultimate in flexibility.